Why don’t some of your patients follow through with their treatment plans? Is it cost? Low Dental IQ? They “have to think about it.” Or is it something else? For most it actually comes back to one thing: UNDERSTANDING. For many, if they truly understood their treatment plan and its importance, they would agree to get the treatment done! The key to creating this understanding and agreement? 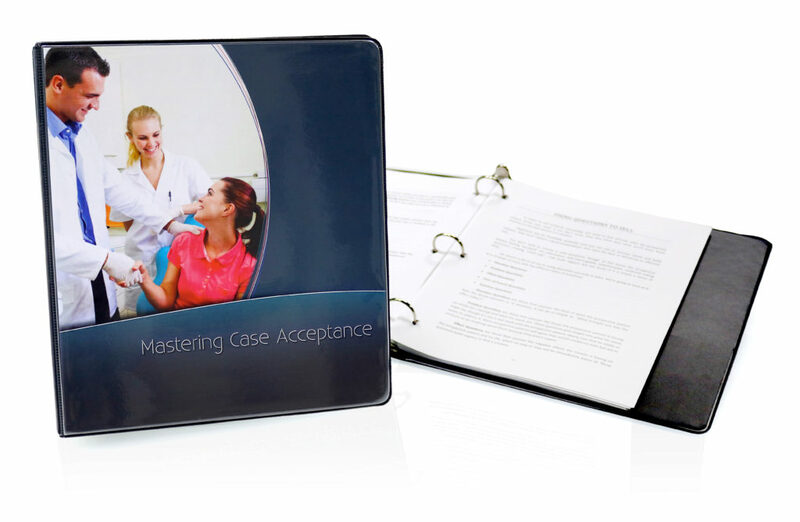 Mastering Case Acceptance is a three-day course that covers just about every aspect of the sales process from a doctor’s perspective, preparing you for any eventuality. With a unique combination of training, drills and application, this course is a perfect complement to the MGE Communication & Sales Seminars. The Anatomy of Sales & Communication. Seven Steps to Successful Selling. The Six Types of Questions to Use When Selling. Using these specific questions, you can actually get the patient to explain to you why it’s important that they receive the needed treatment. Building Agreement with the Patient. Learn how to start with small agreements and quickly work up to larger agreements until they agree to start the full treatment plan. The Three Stages of Any Sale. How to Make a Patient Confident About Proceeding with Treatment. Master the Case Acceptance Process. Call (800) 640-1140 Today!